Betting exchange boss Stephen Morana says lessons have been learned from Christmas Festival fiasco. Voler La Vedette on the way to race victory on Wednesday. BETTING EXCHANGE GIANTS Betfair have again moved to allay customer concern after this week’s events at Leopardstown. The company were left red-faced when an extraordinary systems glitch meant the decision was made to void “in-running” betting in the Woodies Christmas Hurdle. The error meant one user of the exchange was exposed to a potential €27.5 million payout on Voler La Vedette. Today, interim chief executive Stephen Morana says he was left ‘personally devastated’ by the fiasco and the company have now insured that the sequence of events which led to the situation will not be repeated. “On Wednesday, 28 December we had a major issue with our Exchange. We know how frustrating this is for our customers and again we offer our sincere apologies to all affected. This note summarises all that we know of the issue, with all of the facts laid open. 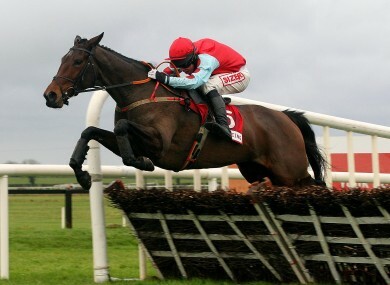 “The race in question was of course the 2pm at Leopardstown on 28th December, won by Voler La Vedette. The race went off on time and there were no issues with the bets struck on the race before the start. “During the race, one bet was placed, and allowed onto the Exchange, laying Voler La Vedette for £21,474,836 at odds of 29. This would have left the customer with a maximum liability of close to £600m. This bet was placed by one of our UK customers trading the race via our API or Application Programming Interface using an automated program (a “bot”). Their bot had developed a fault causing it to try and place a very large number of bets on the Exchange. These bets were large in size and mispriced. “As you know, the Betfair system is designed to prevent customers betting unless they have the funds to cover their maximum liability. In this case, the customer had less than £1,000 in their account so none of these bets should have been accepted. However, due to a technical glitch within the core exchange database, one of the bets evaded the prevention system and was shown on the site. This was an issue that was triggered because of a unique sequence of events that had never happened before. “The race continued and Voler La Vedette won. £822,614 of backers’ stakes were matched of the customer’s bet, resulting in a potential liability to the customer of £23m. “Once the race was completed, the market remained suspended such that no bets were settled and an investigation started. We identified that this was an isolated incident specific to one account, which we immediately suspended. There were no further issues reported on any other markets on site and the site therefore remained open for business as usual. “At 4.41pm on the 28th of December, we announced that the in-play markets associated with this race would be voided due to technological failure in accordance with our terms and conditions. This is similar to the “palpable error” rule enforced by other bookmakers in the past. “We had to void both the win and place markets and, to be clear, we would have voided the race regardless of who had won and whether or not we had suspended these markets sooner. This is because the bet in question had significantly impacted both markets. We did not void those bets placed before the off because they had not been affected by the bet. “The Betfair technical teams continued to investigate the details of the fault and, having identified the issue, worked on putting a fix in place which was applied at 10.15pm on December 28th. Following extensive testing, we can confirm that there have been no subsequent occurrences of this fault and we’ve taken steps to prevent its reoccurrence in the future. “We have been criticised for not having suspended the market earlier but in reality, while our market operations team did realise that something had gone awry, the procedures they had in place dictated that specific checks needed to be made prior to suspending the market; hence the delay in suspension. “Again, I would like to clarify that the account in question has no commercial relationship with Betfair other than being a customer. Our reputation has been built on integrity and we have been pioneers in the industry in ensuring that betting is carried out in a fair and transparent manner. By making the voiding decision, I can assure you that this decision was not taken lightly and that we have implemented what we believe to be the fairest solution in these truly exceptional circumstances. The statement continues: “Since Betfair began, we have matched nearly half a trillion bets for our customers that have provided greater value than offered by the established bookmakers. This is the first time that we have ever experienced anything like this in all of that time which goes to show how robust and resilient the bet matching engine is and will continue to be. Betfair’s share price has taken a dive since the events on Wednesday in the face of massive customer dissatisfaction. Email “'I was devastated' says Betfair chief after Leopardstown blunder”. Feedback on “'I was devastated' says Betfair chief after Leopardstown blunder”.